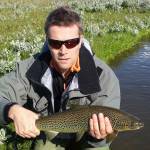 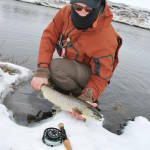 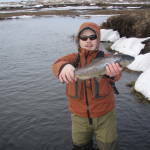 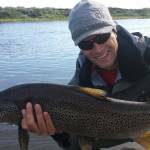 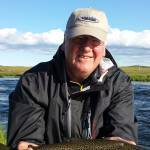 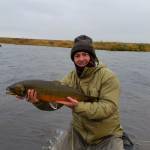 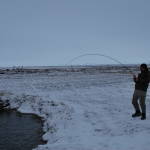 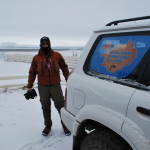 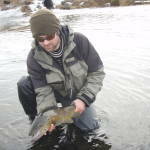 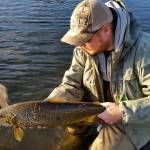 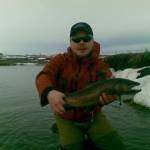 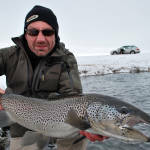 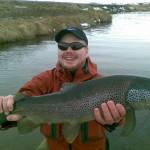 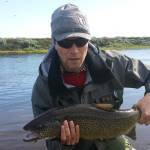 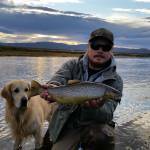 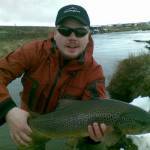 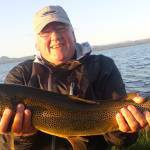 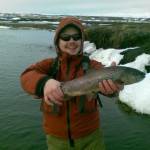 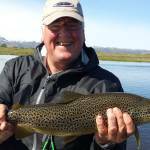 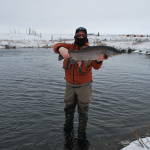 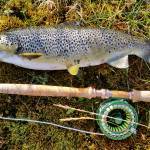 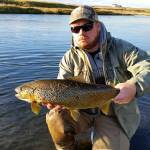 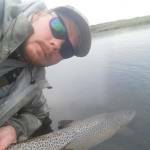 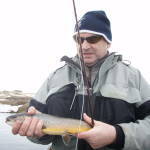 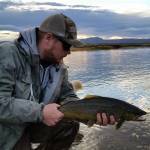 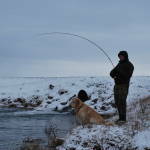 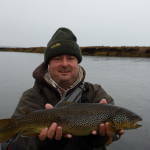 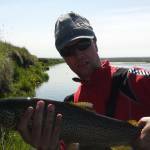 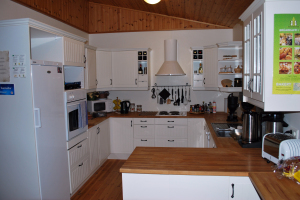 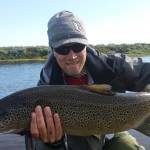 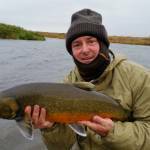 Iceland Fishing Guide – Fly fishing in Iceland – Salmon fishing in Iceland – Arctic char fishing in Iceland – Brown trout fishing in Iceland » Litlaá in Kelduhverfi (Brown trout & char fishing). 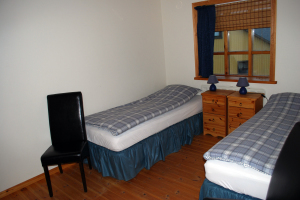 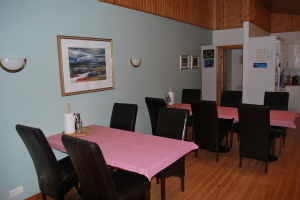 Litlaá is situated in North East Iceland in Kelduhverfi about a 1.5 hour drive from Akureyri. 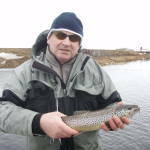 The river has a healthy stock of both stationary brown trout & arctic char along with getting good runs of sea run brown trout. 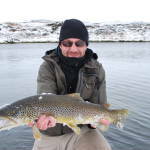 Litlaá is a unique river because it has warm spring in the river that are about 12 decrees warm so the river never goes under ice creating an environment for the fish to feed all year instead of going into a hibernation state like in most rivers. 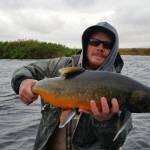 This along with the conditions created for both bug life and stickleback that the fish feed on makes the growth rate of the fish in Litlaá one fastest in the world. 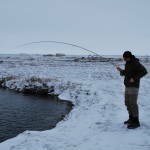 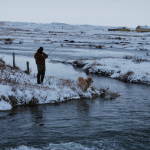 The Litlaá allows 5 rods to fish it per day along with 2 more rods in the lake Skjálftavatn a total of 7 rods per day. 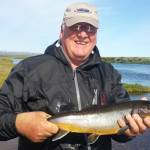 The lake Skjálftavatn was formed during earthquakes in 1974 when the ground started supplying a steady flow of cold waters from up springs and the a big part of the land went underwater creating one of the biggest lakes in Iceland. 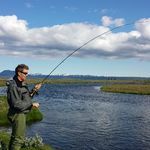 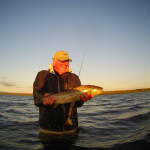 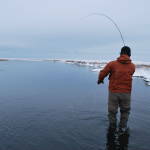 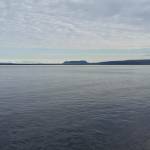 Because of how the Lake was formed the lake is rather shallow and it is possible to wade most of it but the best fishing is often on warm days around the biggest up springs when the shogels of arctic char and brown trout come to cool down. 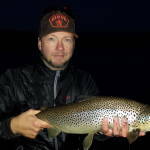 When these conditions occur there is literally a feeding frenzy going on as most of the fish from the lake are collected in a small area of the lake and whether you are targeting the brown trout with streamers or other stickleback imitations or the rising arctic char with dry flies or emergers anglers can be catching up to 20-30 fish in the space of a few hours with the biggest fish of around 20 lbs. 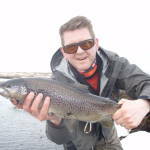 When is prime time in Litlaá you might ask but this question is hard to answer as each season has it’s own character with cold temperatures in April & May the catch is still phenomenal while the anglers experience might be overshadowed be freezing hands and running noses. 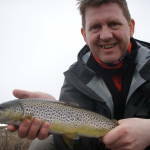 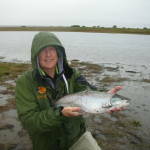 June & throughout August is great fishing and this is really the best time for dry fly fishing although it is weather dependent. 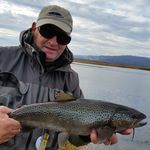 In September the trout tend to get very aggressive and willing to chase streamers in is September many peoples favorite times to fish the Litlaá. 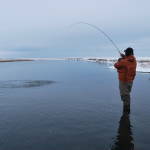 The river & lake allows 7 rods to fish it per day. 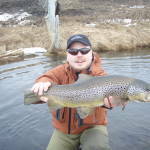 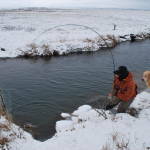 The Fishing season is from April 1st to October 20th. 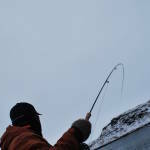 Single handed rod from 5# to 8# and or switch rod line 7# to 8# Floating lines & sinking lines later in the season.